Today’s post is sponsored by Nestle Toll House, but my love for their morsels is all my own! 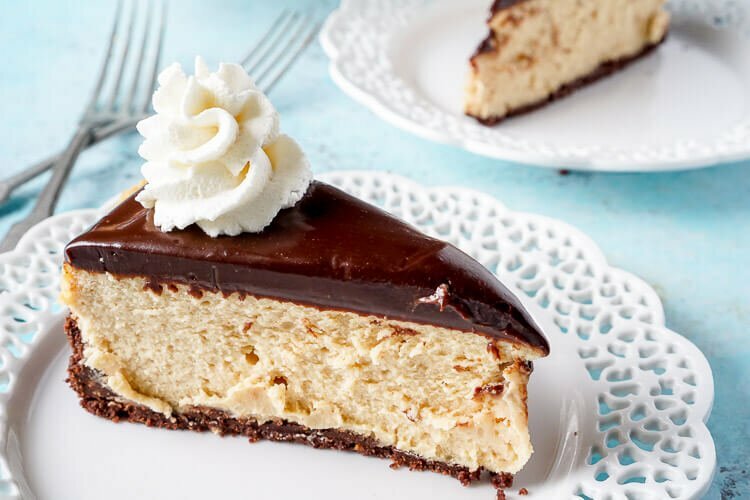 This Peanut Butter Chocolate Cheesecake recipe is a silky, peanut buttery dessert sandwiched between a chocolate graham cracker crust and a tempting chocolate ganache. 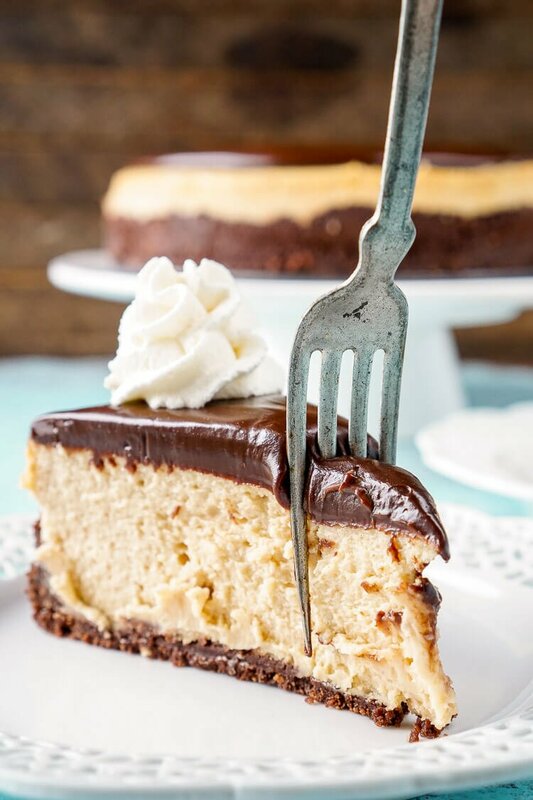 While most of you were probably eating pie on Thanksgiving, this Peanut Butter Chocolate Cheesecake is what was being served up in our house. Okay, okay, we had pie too! Gotta have that pie! My family is a bunch of peanut butter and chocolate junkies. But honestly – whose isn’t? 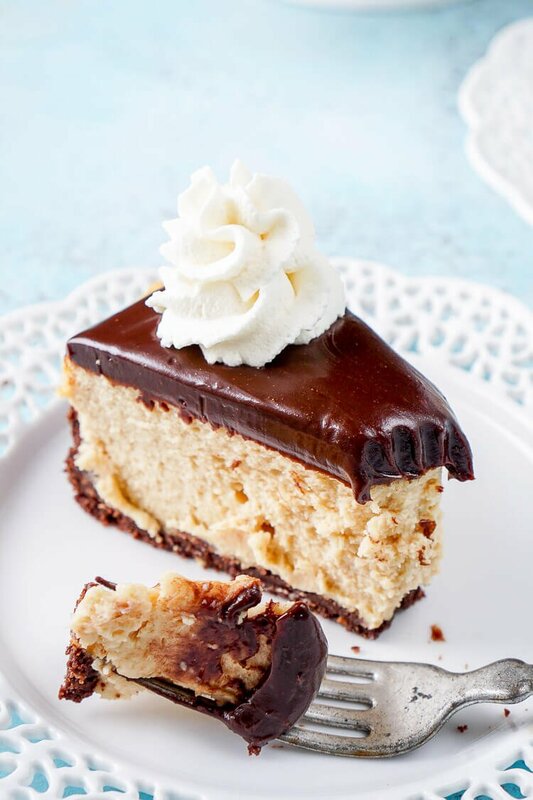 Especially when it’s a silky peanut butter cheesecake sandwiched between a chocolate graham cracker crust and the most decadent layer of chocolate ganache. 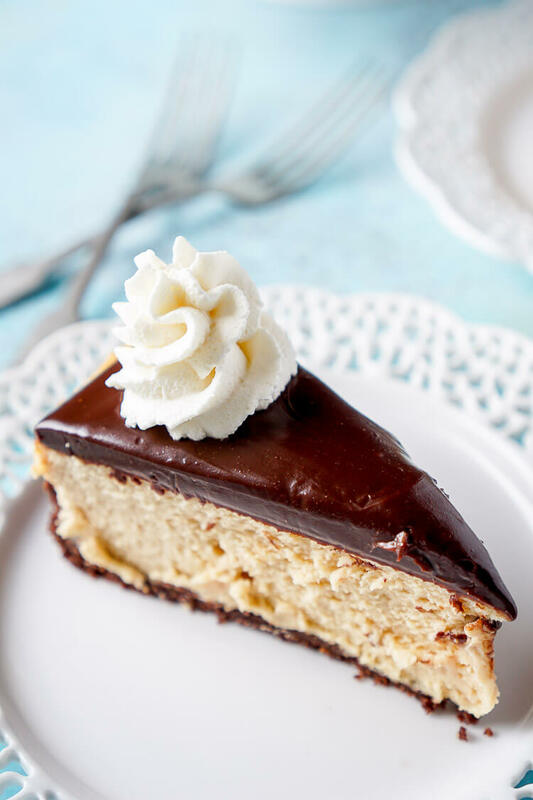 Seriously, though, that ganache is a thing of beauty and I want it all. 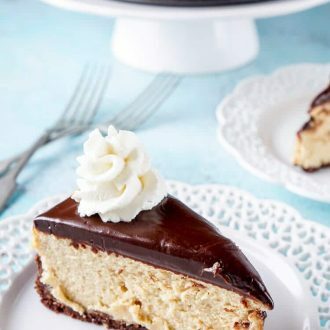 I know a lot of people who find ganache to be a little too rich, but for me – I could eat it with a spoon by the bowl. 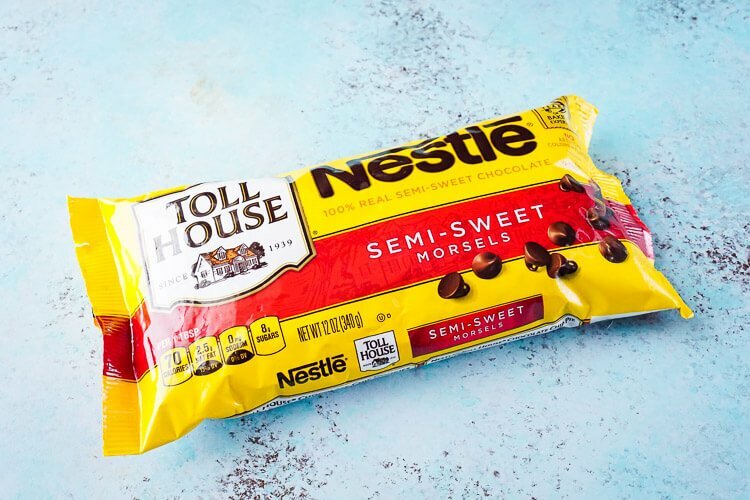 Ganache is all about the chocolate you use, I use NESTLÉ® TOLL HOUSE Semi-Sweet Chocolate Morsels because I grew up with them and I know they’ll result in a great ganache every time. This was the first time I’ve made my graham cracker crust with cocoa powder rather than chocolate graham crackers. I think the crust turned out a lot richer this way and you still get a slight hint of honey. 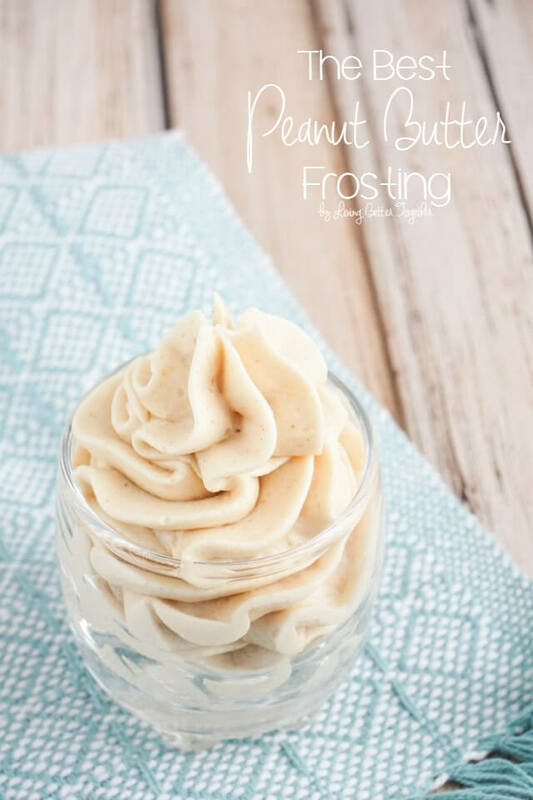 The peanut butter filling is made with melted peanut butter chips rather than peanut butter, but still has that rich and creamy taste we all know and love. My family pretty much devoured this over the course of Thanksgiving weekend. When we walked through the door of my in-laws, Matt’s aunt and dad both picked up a fork and dove in for a bite! It’s THAT irresistible. Holiday desserts don’t have to be loaded up with peppermint and eggnog (although those are totally welcome), they just have to be what your family loves and what will bring you all together. Oh, and did I mention I’m giving away some cash over on Instagram? Come on over and enter to win! Add graham crackers to a food processor and pulse until fine crumbs form. Combine graham cracker crumbs, sugar, cocoa and melted butter in a medium bowl until evenly mixed. Press crust mixture onto the bottom and 1/2 to 1 inch up the side of 9-inch springform pan. In a large bowl or stand mixer, beat cream cheese and 1/4 cup sugar until fluffy. Add in melted peanut butter chips and beat until smooth. Pour into prepared crust, using a rubber spatula to even out. Place springform pan in a larger baking pan and fill the larger pan with water until it's about halfway up the sides of the springform pan to create the water bath. 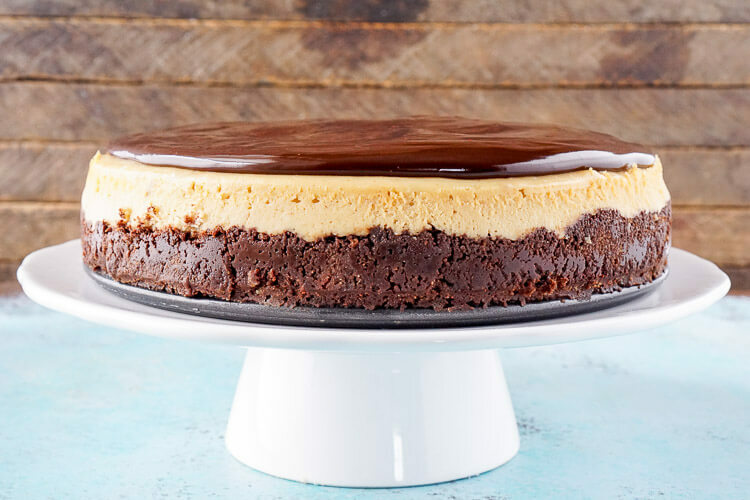 This helps prevent your cheesecake from cracking. Bake 60 to 70 minutes or until center is almost set and has a matte/dull appearance. 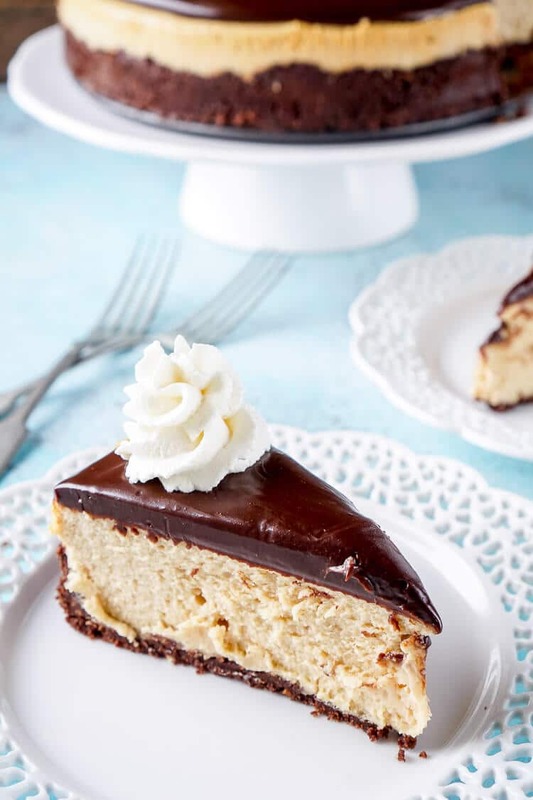 Remove from oven and immediately run a pairing knife along the edge of the cheesecake to loosen it from the side of the pan. While the cream is heating, add chocolate morsels to a small glass bowl. Once the cream is heated, pour it over the chocolate morsels and let it set for 2 minutes, DO NOT STIR. After the 2 minutes are up, whisk until a rich chocolate ganache forms, let sit for 5-10 minutes. 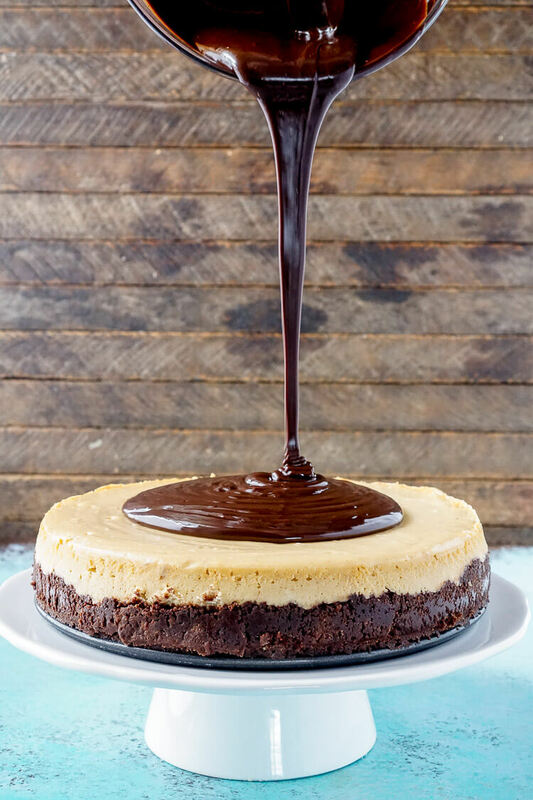 Pour over cooled cheesecake and use the back of a spoon to spread it evenly oven the top. 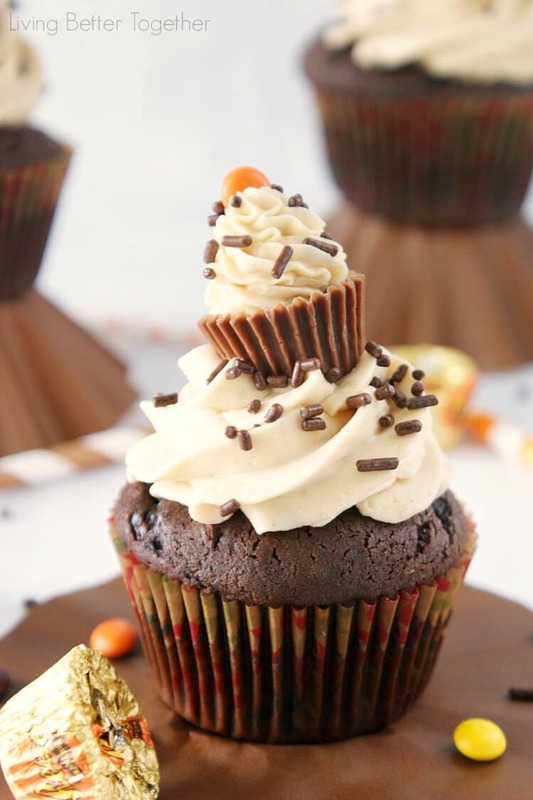 Right now you can save on Nestlé® Toll House® products to make your holiday baking even more enjoyable!